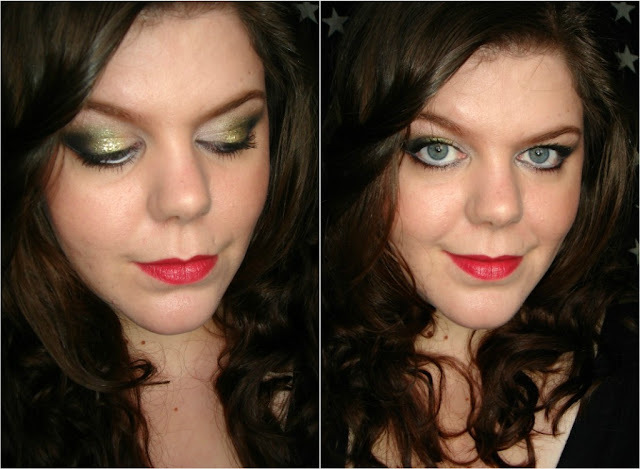 Sophsterlicious • UK Blog: Golden Green Glitz FOTD. Apologies for the lack of blogging recently, I am having a nightmare at the moment, my partners mother just passed away, and I have to go for my surgery in just over a week, so my head is full of all sorts. I do have a few of these FOTD posts ready to post though - so you might see some of those for a while, with some reviews in between. NYX Jumo Pencil - Milk. Maybelline Line Definer Liquid Eyeliner. Max Factor False Lash Effect Mascara. Barry M Gold Glitter Liner. This is so pretty! Green and gold is one of my favorite combos. Colour Extreme - Hair Art. Muji Love ~ Brush Storage. 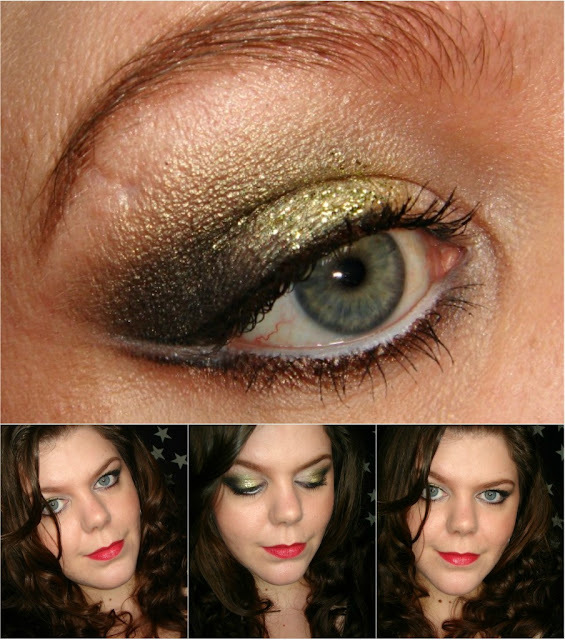 FOTD // Fiery Hot Eyes! Ooh, A Glossybox For The Men! Botanical Shine Treatment, By Liz Earle. ~ Sleek Curraco Eyes // Hot Pink Lips. .. Face + Nail Of The Day. Happy New Year + Update.